I am pleased to be writing to tell you that exactly one month ago today I came to see you to quit smoking. I had been addicted to smoking for over 15 years. 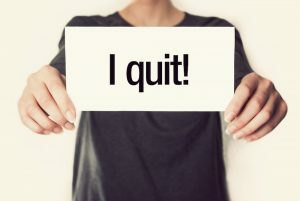 There’s been so many times I have tried to quit and only once did I successfully quit for a year (after 3-4 hypnotherapy sessions and reading Allen Carr’s book AGAIN). All other times I have tried patches, books, CD’s, APPs, cold turkey, medication, e-cigarettes. Cold turkey – as soon as I get that urge to smoke again, that’s it – I would do anything for a cigarette. I would walk for miles to the nearest servo, beg for a cigarette and even smoke butts from the bin just to get a fix! In the past my pain level of trying to quit would be 20/10. I had ZERO willpower. I am excited to tell you that I haven’t smoked a cigarette since the 6th December 2013. I have survived Christmas and New Year. I even had to spend a miserable Christmas (as I get homesick being away from family in the UK) drinking with 3 SMOKERS and survived all day and wasn’t tempted once. I’ve had some moments, the first week I thought about it a lot but never enough to do anything about it. I just did some exercise and would forget about it. I quickly became very sensitive to the horrible smell. I’ve also quit my coffee habit. I was drinking 3-4 large coffees in the morning. Each cup would be very strong with 2 sugars. In the evening I would drink coke with my cigarettes. I always had to had coffee, sugar and coke in the house. I now drink 1 (sometimes 2) small coffees with honey (not sugar). I haven’t drunk coke since the 5th December. I have saved $130 so far on cigarettes (and probably $70 on coffee and coke!!). Friends noticed something different about me but couldn’t put their finger on it. I think the bags under my eyes have lifted, and my complexion is much healthier. I can’t thank you enough for what you have done for me. I will be forever grateful for your assisting me to stop in this way. I must admit I was a little sceptical I could walk out a non-smoker 60 minutes later. But you had faith because you know that it works. It worked and I probably owe you my life as a result. Just found you letter in my drawer as I pack up to move house. I felt the need to contact you and let you know that I have been breathing fresh air from the moment I walked out of our session in March this year and have never given smoking another thought since then. My wife is beside herself that I don’t stink anymore and I am now moving onto the next phase of my transformation and shedding a few kilo’s. I was wondering if I could maybe get the same results with weight loss. Anyhow Steve, you saved my life and I just wanted to let you know how grateful I am that we crossed paths. I am still smoke free!!! I am very proud of myself. The money I have saved has paid(nearly) for my husband and I to go to Port Douglas for 6 days. I have also brought some clothes for myself and my girls. Each week to start when I first became a permanent non- smoker, I was buying myself a reward for not smoking. Now I don’t see the need. But I like seeing money in my wallet and bank account. Also I now can feel and see myself becoming fitter and fitter. I’m loving life!!!! I wish to say “Thank you so, so much for helping me to become a permanent non-smoker who breaths fresh air”. I have been meaning to write you for some time and am only just now getting around to it. I am not a smoker myself but you helped my mother to give up a 50 year, pack a day smoking habit in January 2012. After your session she never picked up another cigarette. My only regret is that she didn’t come to you sooner. She was diagnosed with lung cancer 3 months later in April 2012 and passed away in August. The reason I am emailing you is she confessed to me that had she not given up smoking she would not have been able to face all the time in hospital having the treatment that gave her those extra few months here, and probably would have refused it and stayed at home, so in a way we have you to thank for that extra time I had with my mother. You provide a wonderful service and I just wanted you to know what a difference you made to one family in particular. I saw Steve in March and desperately wanted the hypnotherapy to work as everything else I had tried over the last 10 years had been a miserable failure. I had quit cold turkey the week earlier and was so cranky and irritable I could see my family wanting to tell me to go have a smoke. My husband still smokes and being around him was terrible because I was so miserable constantly fighting the cravings and doing battle with myself in my head. By day 3 of my first week, the only way I could prevent a certain divorce was to allow myself to have 1 cigarette at the end of each day. Obviously this wasn’t quitting any longer. I was desperate when I called Steve. The session was enjoyable. Steve made me feel at ease quickly. I left the session very relaxed and feeling great. The feeling continued and I have found it easy to stay off the cigarettes, even with my husband smoking around me. Initially in the first couple of weeks after my quit smoking session, whenever I started feeling anxious, I would listen to the recording of the session and immediately I would be relaxed and it would all be easy again. I love being a non-smoker so much and I love that the hypnotherapy made it easy to become one! Thank you Steve for the gift of my life and my health! All I can say is THANK YOU! I had tried everything to quit smoking. I tried tablets, patches, chewing gum and even tried cold turkey. None of it worked for me; in fact some of the quit smoking aides made me feel very sick, and I ended up smoking more to compensate for the time I missed out on smoking. I was a very, very bad habitual smoker. I enjoyed the relaxing feeling that I felt when having a smoke, but I really didn’t like the smell, the taste, the hold it had over me and the fact that my health was suffering. And it really did affect my health…..I was diagnosed with cancer and smoking was a contribution. The doctors told me I had to quit, and this was the push I needed. But, I still continued to smoke until one day I decided it was time to stop. The Quit Smoking in 60 minutes brochure landed at reception at my work, and I took it home for a read. I phoned the 1300 number, and left my details. I received a phone call from a lady (Joslyn) who listened to my story, and genuinely wanted to help me quit smoking. I didn’t feel pressured in any way and in particular, I did not feel judged, which smokers often do. She booked me in for the next available session. Because I had tried everything else, I really wanted to believe that hypnotherapy would work for me. The gentleman who hypnotized me (Steve) was not judgmental, and while I was under, I was so relaxed. He really made me feel in control and confident that I WILL QUIT SMOKING. And I did. Since leaving the session, I have not had a smoke. When people smoke around me, it does not bother me. I just smile and turn away; thinking to myself….That was me! I did not get cranky, moody and feel shaky like I had when using stop smoking aides. It was really strange, but I felt empowered that I had quit smoking! In the beginning, I was sceptical. But the key to my success was the fact that I WANTED TO GIVE UP FOR ME. Not because the doctors wanted me too. If you believe this will work for you, IT WILL. I would not hesitate to recommend this to anyone. It worked for me, and I am a happier and healthier person for it. Before coming to Quit Smoking in 60 minutes I was frustrated and beating myself up because I could not give up smoking. I finishes the process and felt refreshed, happy and convinced that I will not smoke for the rest of my life. When I came to see Steve I was disappointing in myself because I could not give up smoking. It left me feeling drained and ashamed. Coming to see Steve was the best thing and I feel refreshed, relieved and stronger. I am really glad I came to see Steve. of cigarettes. WOW what a feeling of Freedom. many many years and tried to give up smoking but never succeeded. My niece and nephew (his children) and my children were always pleading with him to give up smoking and at times would hide his cigarettes and even destroy them and through them in the bin, which of course he would not be too happy about. When I met you this year and heard that you guaranteed people who WANTED to give up smoking would through your program, I quietly gave it to my brother-in-law. Fortunately, he snuck off quietly and saw you and it wasn’t for a month or two before we actually found out. We are so proud of him and are very grateful to Transformations Life Architects. Of course I am over the moon as being a Personal Trainer smoking is one thing I certainly encourage people to give up so they can start leading a healthy and positive life. process. I am confident within myself that I am not a non-smoker. Thank you so much Steve. Before I came to see Steve I didn’t like smoking, I knew it was unhealthy and I did not enjoy it but I did not know how to stop. After the process I felt good, rested and relaxed and confident I will not smoke again. I hated smoking and was frustrated that I could not give up even though I knew it was effecting my health. I felt that I was throwing my life away. After the Quit Smoking session with Steve I felt great knowing that I am now a permanent non-smoker. I did not enjoy smoking but it was an expensive habit that I could not give up. I visited Steve and after an hour session I was a permanent non-smoker. I’m looking forward to a future where smoking and the control it had over me is now gone. Before coming to see Steve I had tried everything to quit smoking, even hypnosis. I came to Steve a bit sceptical about whether it would work but kept an open mind. Steve was very clear of what he was doing and what he wanted of me and this made the process so much easier. At the end of the session I was very relaxed but more importantly I was clear that I was a permanent non-smoker. Because I had tried everything else, I really wanted to believe that hypnotherapy would work for me. The gentleman who hypnotised me (Steve) was not judgemental, and while I was under, I was so relaxed. He really made me feel in control and confident that I WILL QUIT SMOKING. And I did.